Professional Quality microphones for surveillance use. Applications for our audio surveillance products include: remote monitoring, assetprotection, theft prevention, national security, homeland security, casino soft count rooms, booking rooms, interrogation rooms, prisons, sleep disorder centers, therapy labs, convenience stores, fast food restaurants, nanny cams, conference rooms, zoos, parking structures, elevators, stairwells, industrial process monitoring, etc. Optimized for the voice band by trimming the preamplifier's high and low frequency response to 500Hz-13Khz. The result is higher intelligibility of the sound source and lower levels of background noise. NOTE: It is the responsibility of the installation company and end user to install this audio surveillance equipment in compliance with state and federal privacy laws. If you are unfamiliar with these laws, consult a qualified attorney. High performance, Omni-directional, pre-amplified microphone for fixed location security applications. 25’ pickup pattern in all directions. Built in limiter circuit automatically lowers the output level during loud sound intervals. Selectable lo-cut and hi-cut filters significantly reduce background noise. 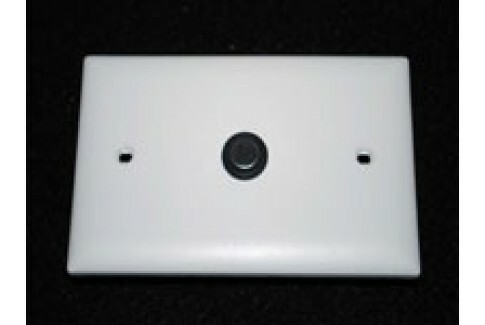 Flexible plastic plate mounts flush or on a single gang electrical box. Connects directly to our switcher / mixer / amplifiers or use one of our many interface products to make fast and clean connections to DVRs or remote monitoring equipment. 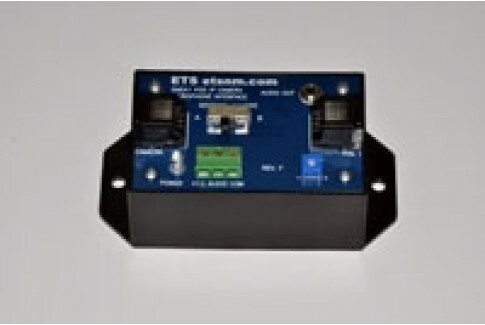 In line adaptor for tapping power off Ethernet powered IP cameras to supply power to ETS Sound Surveillance microphones and breakout box for terminating the microphone to the "microphone" or "line input" of IP cameras. 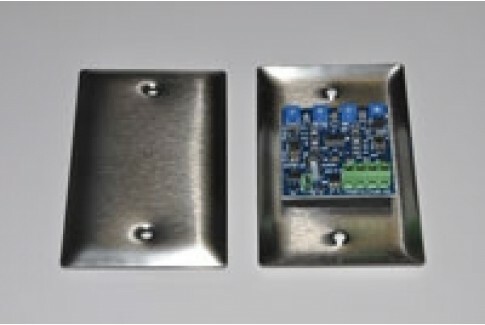 Supports both modes A and B of IEEE802.3af. 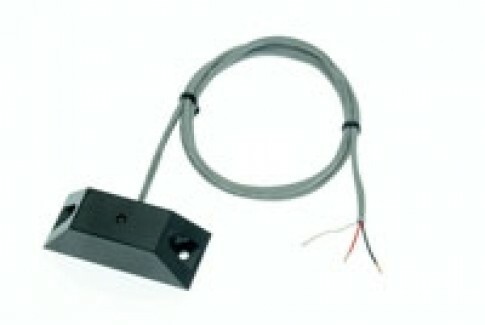 A low cost omni-directional electret microphone for use with I/P cameras accepting microphone level input signals. (PC compatible input). 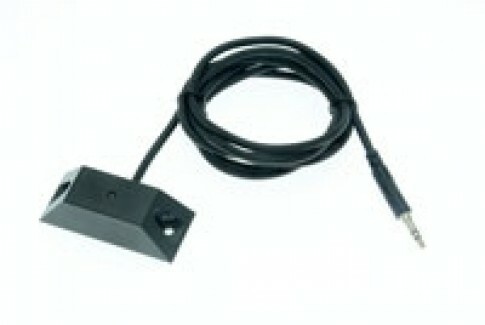 The attached cord is 6' long and comes standard with a stereo 3.5mm connector on one end. The ML1-S's 3.5mm connector can be removed and the cord can be directly connected to cameras with terminal blocks. 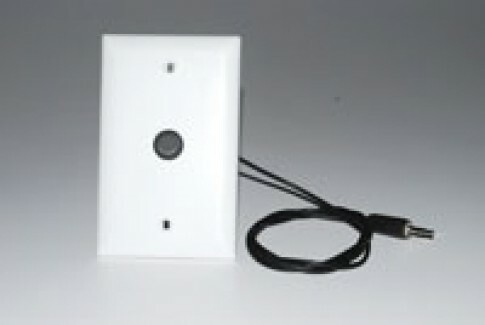 A high performance, low cost omni-directional electret microphone for use with IP cameras accepting microphone level input signals (PC compatible input). The attached cord is 6' long and comes standard with a stereo 3.5mm connector on one end. The AM-ML1-TRWCF's 3.5mm connector can be removed and the cord can be directly connected to cameras with terminal blocks. Highest performance, Omni-directional, pre-amplified microphone for fixed location security applications. Is Ideally suited for interrogation and interview rooms due to it's very low noise characteristics. 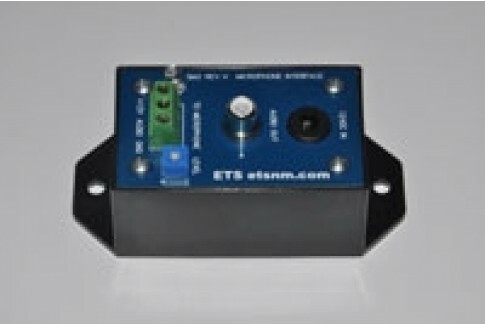 Connects directly to our switcher / mixer / amplifiers or use one of our many interface products to make fast and clean connections to DVRs or remote monitoring equipment. Connects directly to our switcher / mixer / amplifiers or use one of our many interface products to make fast and clean connections to DVRs or remote monitoring equipment. Single Channel Interface Adapter with volume control. Powers an SM1 series microphone and routes its audio output to an RCA jack (or 3.5mm) for connection to equipment with a un-balanced line level input. For use with DVRs, IP cameras, remote monitoring applications, and CCTV monitors with built in speakers. Ideal for use with AM-SM1 microphone and IP camera "microphone level" inputs. High performance, weather proof, omni-directional, ruggedized, pre-amplified microphone for use in low profile applications where tamper and weather resistance is required. Ideal for vehicular exterior and interior applications. Small form factor microphone and pre-amplifier circuit board. Connects directly to our switcher / mixer / amplifiers or use one of our many interface products to make fast and clean connections to DVRs or remote monitoring equipment.